It’s a familiar story; a soldier is killed while he is fighting overseas, leaving his wife and children behind without a father. And in the case of Special Forces Sergeant Mark De Alencar, he was no ordinary father either. 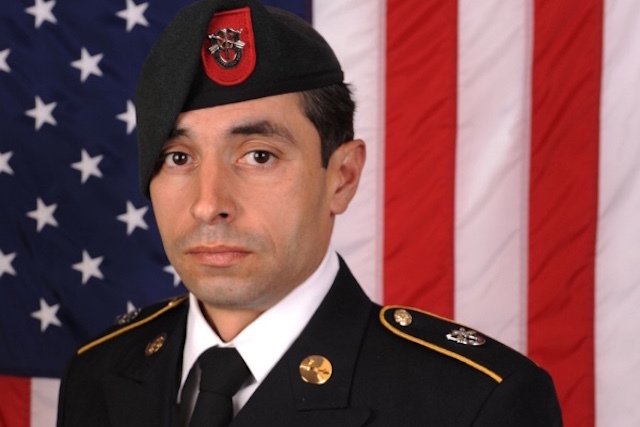 This past weekend, Alencar was killed while fighting against ISIS in Afghanistan. During his time as a Green Beret, he was recognized with over 19 awards and badges including the Purple Heart, the Iraq Campaign Medal with two stars, and Expert Infantryman Badge, among others. As well as being an excellent soldier, Alencar was also a loving husband and father of five. In honor of his death, a family friend of the Alencars named Nikki Damron created a GoFundMe account to help ease the financial burden that was left behind. Despite the campaign only starting with a goal of $15,000, it raised $200,000 overnight. It has now reached $325,000 one week later. “Mark was a close friend of my husbands and my family, a hard working soldier and more importantly, an amazing father,” wrote Nikki. “Our community has been hit hard in the last passing months and I just felt the need to try and do my part and help out his family.